TORONTO, ON, Thursday, April 19, 2018 – Nine students from across Canada have won $25,000 as finalists of the 2018 Poetry In Voice competition. The successful secondary school and Cégep students were selected during the National Finals Awards Show tonight. A gala celebration of poetry, the show was hosted by CBC’s Gillian Deacon, and the students’ performances were judged by an esteemed panel of poets, including Liz Howard, Canisia Lubrin and Matt Rader. As part of our ongoing work to foster a love of poetry among Canadian youth - the readers, thinkers, and leaders of tomorrow - we will appoint 15 Poet Ambassadors from among the hundreds of poets engaging in dynamic educational and community outreach across the country. Vancouver, BC – Nine students from across Canada have received a combined $25,000 in prize money as winners of the 2017 Poetry In Voice competition, now in its seventh year. 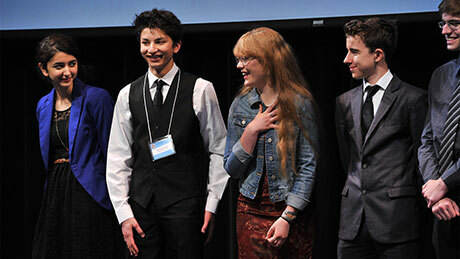 The successful high school and CEGEP students were selected during the anticipated National Finals event in Vancouver by an esteemed panel of judges including Jordan Abel, Joanne Arnott, Lorna Crozier, Laurent Fadanni, Marie-Andrée Gill, Pierre Nepveu, and Fred Wah. Toronto, ON — Poetry In Voice/Les voix de la poésie is proud to announce the winners of its sixth annual poetry recitation competition, held yesterday in Toronto at the Isabel Bader Theatre, 93 Charles Street West. In the country-wide competition, students competed for the opportunity to take home $5,000 in each category. 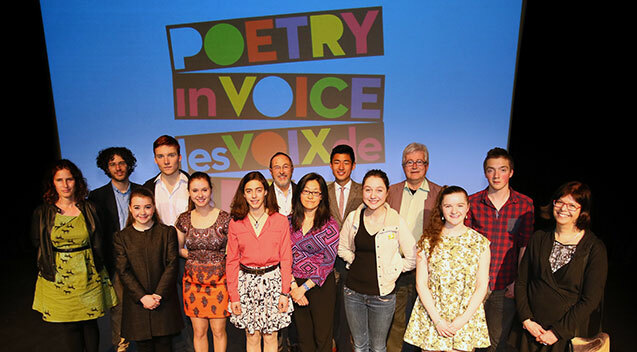 After six years of steady growth that saw the national competition host its last two annual finals in Vancouver and Montreal, Poetry In Voice/Les voix de la poésie returns this spring to Toronto, where 39 high school students from all over Canada will compete in the National Finals on April 20 and 21, 2016. Montreal, QC — Poetry In Voice/Les voix de la poésie is proud to announce the winners of its fifth annual poetry recitation competition, held yesterday for the first time in Montreal at la salle Pierre-Mercure, 300 de Maisonneuve East, Montreal. In the country-wide competition, students competed for the opportunity to take home $5,000 in each category. 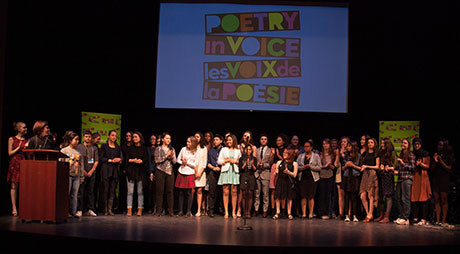 Poetry In Voice/Les voix de la poésie celebrates its fifth anniversary in Montreal, where 39 high school students from all over Canada will compete in the National Finals on April 20 and 21, 2015. Vancouver, BC – Poetry In Voice/Les voix de la poésie is proud to announce the winners of its fourth annual poetry recitation competition, held last night at Vancouver’s Fei and Milton Wong Experimental Theatre. 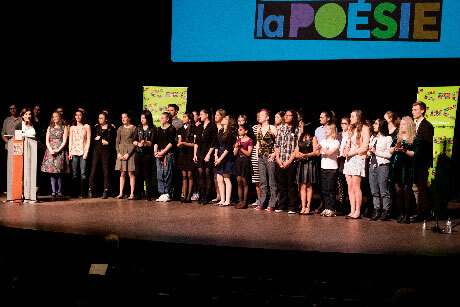 April 2, 2014 — Poetry In Voice/Les voix de la poésie is happy to announce that students from secondary schools across the country will compete in the 2014 Poetry In Voice National Finals. 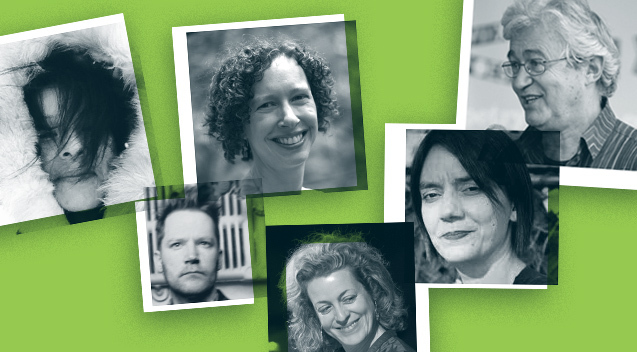 Our Online Semifinals judges — all celebrated Canadian poets — viewed 585 recitation videos before choosing the top 39 students, selecting carefully for criteria such as appropriateness of dramatization and evidence of understanding. The finalists will meet in Vancouver, BC for two days of competition leading to the National Finals on May 9 at the Fei and Milton Wong Experimental Theatre. This year, students will also have the opportunity to take a writing workshop with poet and Poetry In Voice Creative Director Damian Rogers as well as enjoy a guided tour of the Vancouver Art Gallery.